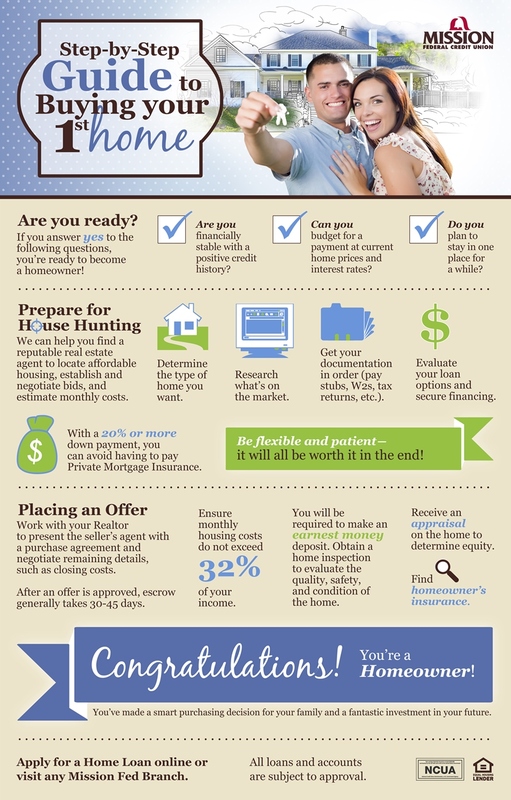 If you’re reading this blog, chances are you’re thinking about buying a home. By now, you’ve spent some quality time online absorbing all the internet has to offer a potential home buyer. There are websites offering everything from simple advice, to checklists, to virtual tours of homes on the market. I probably don’t have to tell you that the local inventory of homes for sale is not keeping up with demand, mortgage rates are at the lowest they’ve been in history and rent payments are continually on the rise. This odd combination of economic factors presents new and interesting challenges for a prospective homebuyer. We like to say, “You have a bank, but you need Mission Fed.” This statement is more relevant when we talk about the home buying process. Mission Fed offers more than a cool website, low rates and flexible terms. Our mortgage professionals present “First-Time Homebuyer Seminars” at our branches, we host “Realtor Days” where you can meet and ask questions of a local Realtor, and our 27 branches are staffed with talented consultants ready to help you through the entire process. The internet is a no-pressure, fun place to get started on your journey toward home ownership. But when it’s time to get serious, it’s time to talk to real people. Your Mission Fed representative will help pre-qualify you for a home loan, make sure your budget is ready for home ownership, put you in touch with a trusted real estate salesperson and guide you through every step of the process. Mission Fed can make the path to owning a home of your own smoother, less stressful, budget friendly and, dare I say, fun! Vince Nowicki is 1st VP, Real Estate Operations & Servicing at Mission Federal Credit Union. He has over 20 years of experience in the mortgage industry, including numerous aspects of the business from loan origination, both retail and wholesale, to secondary marketing and bulk loan acquisitions. Mission Fed’s CUSO is offering LiveSmart Insurance Services, LLC to our credit union members! “Cash this check. Keep the change.” Don’t fall for a common scam.